Stops a 13,500 lb forklift traveling 6.5 mph! 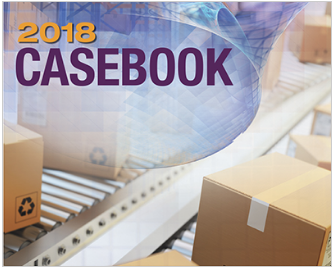 Featured in Modern Materials Handling! 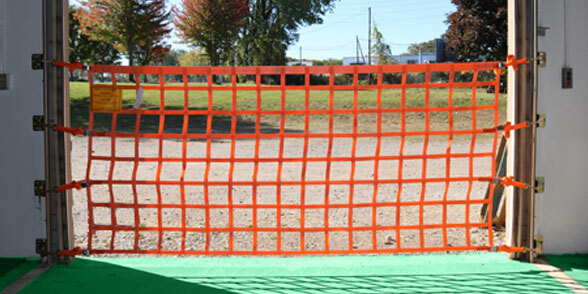 The Defender Gate™ 10. 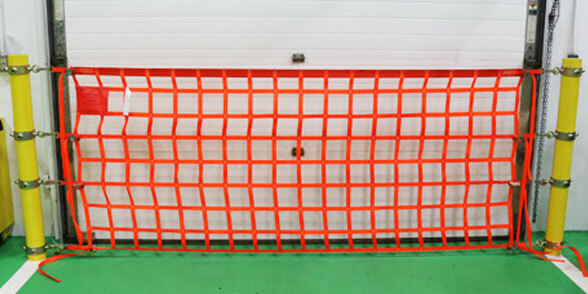 The barrier gate has unmatchable design and components. Everything needed to install (minus power tools) is included on shipment. 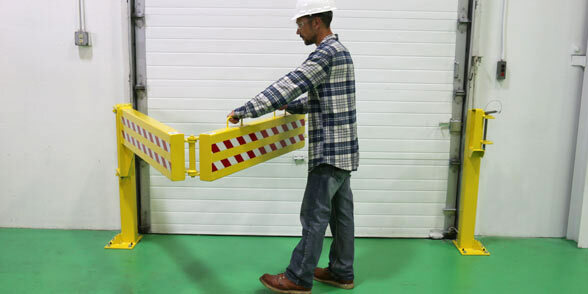 The Defender Gate™ 10 is the last barrier gate you will ever need. It is machined, fabricated and assembled in the USA. The gate stands 42" tall with an all steel construction. 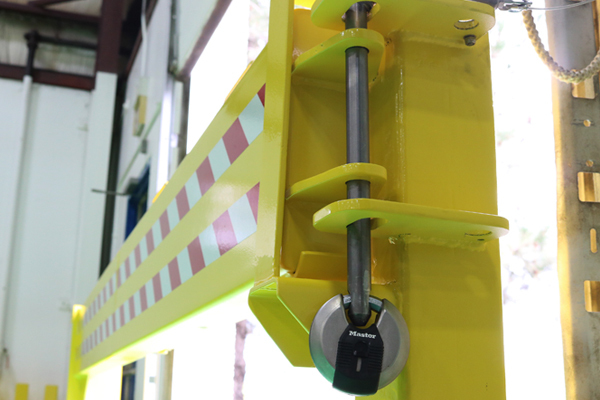 The steel barrier gate is held together by heavy duty plate steel hinges that contain 1" pivot pins with oilite bronze self oiling bushings. 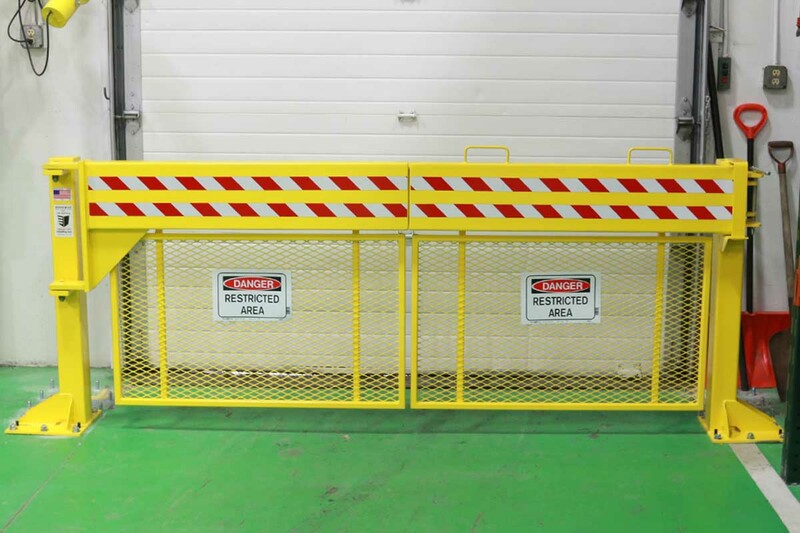 Prevent loading dock falls with the best impact barrier on the market. Safety-guard available for Safety-thru protection. 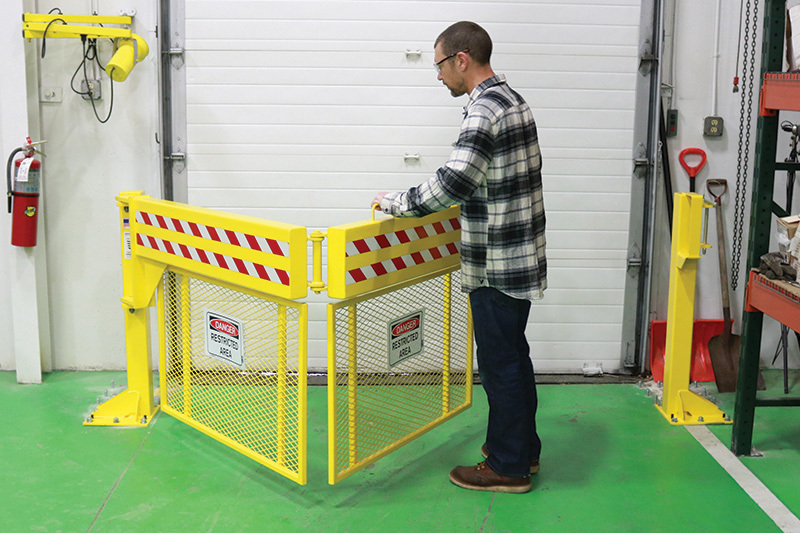 The Defender Gate™ 10 is also available with our exclusive Safety Guard attachment that will protect fallen personnel and rolling materials from entering restricted area or falling off a ledge. 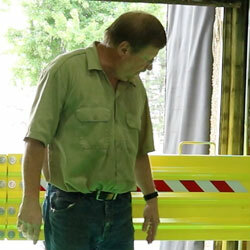 All kits include everything you need to mount to your loading dock! 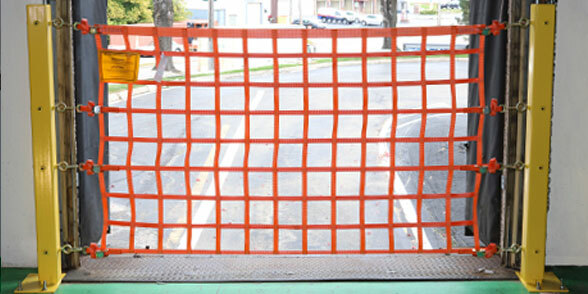 US Netting has taken the concepts behind common loading dock barriers made with static materials such as metal guard arms, chains, and screens, and improved upon them in every way. 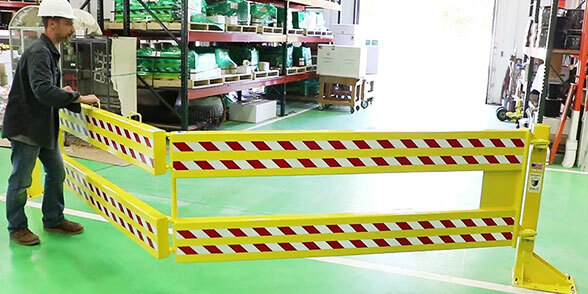 The Defender Gate™ safety barriers provide extreme protection unlike dock safety chains and PVC arms which provide little to no protection. 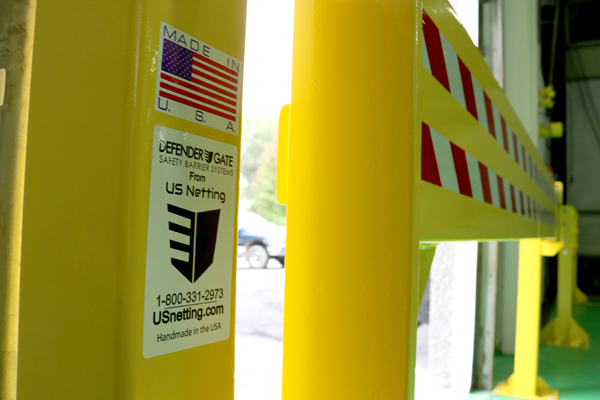 Our barrier gates are man made in the USA with an all steel construction. 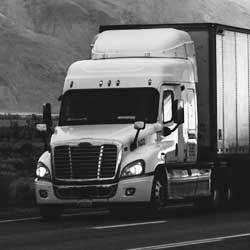 We remain unmatched when it comes to strength, quality and customer service. 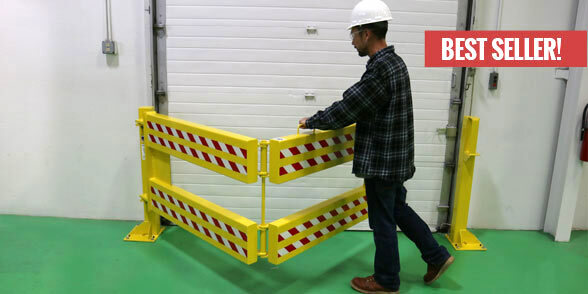 Combine all of this with the ease of our one man install and you have a safety barrier system that offers more protection, takes less damage, thus requires zero maintenance, and is as easy to install as it is to purchase.